During the “Founder’s Night”, on the 14th of September, the German family met at the Adoration Church for the official start of the jubilee. 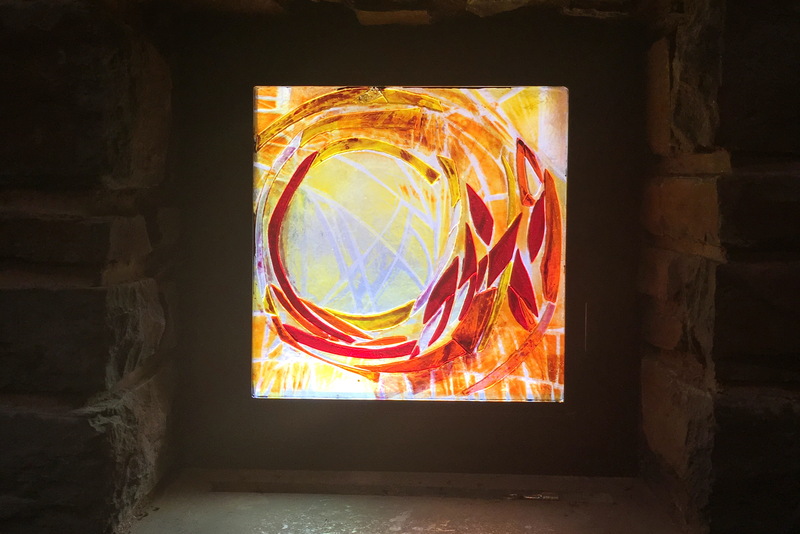 There was a brief analysis of what these 50 years since Father Kentenich`s departure means for Schoenstatt, and a new stained-glass window was given for today’s “Founder Chapel” as an impulse with a representation of the Pentecost fire. Already since Friday afternoon, and especially on Saturday morning, approximately 2,000 pilgrims arrived from different parts of Germany and the world to share this event in spiritual closeness with Father Kentenich, where on this occasion we all received a “fire from his fire” for the future of Schoenstatt and the Church. 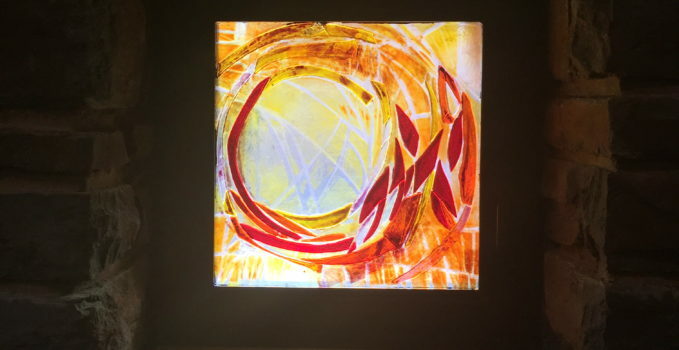 Father Kentenich’s fire was brought from his tomb to five bowls that were to represent the five continents that we as Schoenstatters wanted to ignite with his fire. In the spirit of this fire, of the founder’s spirit (Gründergeist – This year’s motto for the the German Schoenstatt Family), further question emerged: What would our father and founder tell us about the time in which we live as a Church and society? 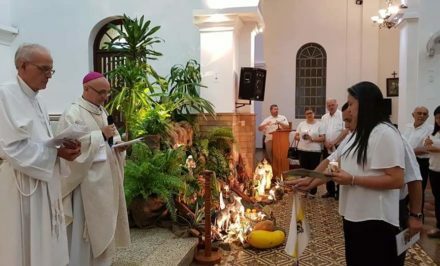 Has Schoenstatt grown as he imagined it? Are we faithfully fulfilling his “secret favorite idea”? 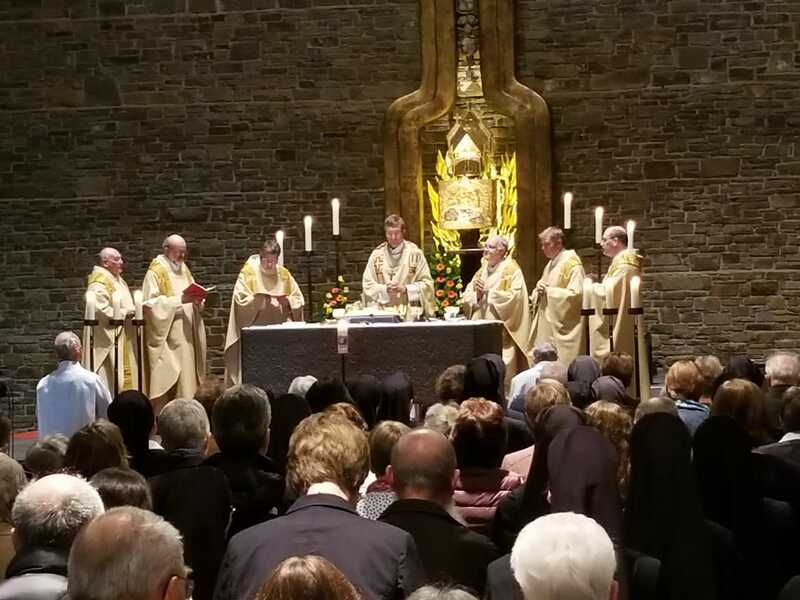 The following day, Cardinal Marx, president of the German Episcopal Conference, celebrated the Mass in the Pilgrims’ Church. Father Kentenich was quite aware for his time and was always looking for the new. “This must also be our mission today to recognize the signs of the times and to dare to look for the new”. Schoenstatt with its Chapel of Grace is a place that inspires and encourages, where one can hear what the Spirit has to say. “As Pope Francis emphasized, we are part of the community of the Church as a people, as a community. The Spirit is always at work, we just have to be attentive to him and listen to what he tells us at this time. 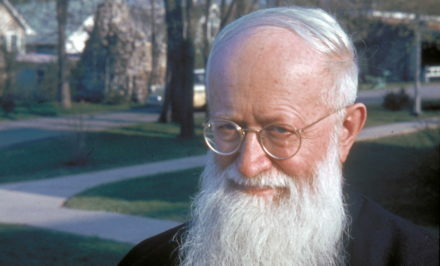 For this we need courage to go new ways,” said Cardinal Marx. He thanked Schoenstatt as a Movement for the work it does in the Church, especially the collaboration of priests and laity. The whole time between the death of the founder and today is marked by a process of growth of the Movement as such. It is a sign of the times in which we live, where many people are seeking new ways of attachment to God and for many, the attachment to Mary and the Church through the Covenant of Love and the Pilgrim Mother, for example, result in that much desired response, that bridge toward heaven that only seeks to be a support and an ear for those who do not find another way out or simply need to be heard. At the same time, it is important to perceive the situation in the church and not look away. “The Church goes through ups and downs. Just these days we think of the dark sides of what has happened and is happening in the church. Deeply depressed, shaken and ashamed we are of the reality of sexual abuse of minors in the Catholic Church …”. Since 2002, then especially in 2010 and now again, the Church senses that the deep wounds from the abuse is not healing. “We stand at the side of the victims of sexual abuse. This is our lasting commitment. It is still shocking what has happened to the children and young people who have entrusted themselves to priests and their unimaginable suffering. God looks at us through those affected, he suffers like the victims from what priests – men who wanted to follow God – have done to minors. God suffers from what we overlooked, where we looked away, what we did not want to admit. He looks at us in those affected, those beaten, and those wounded. 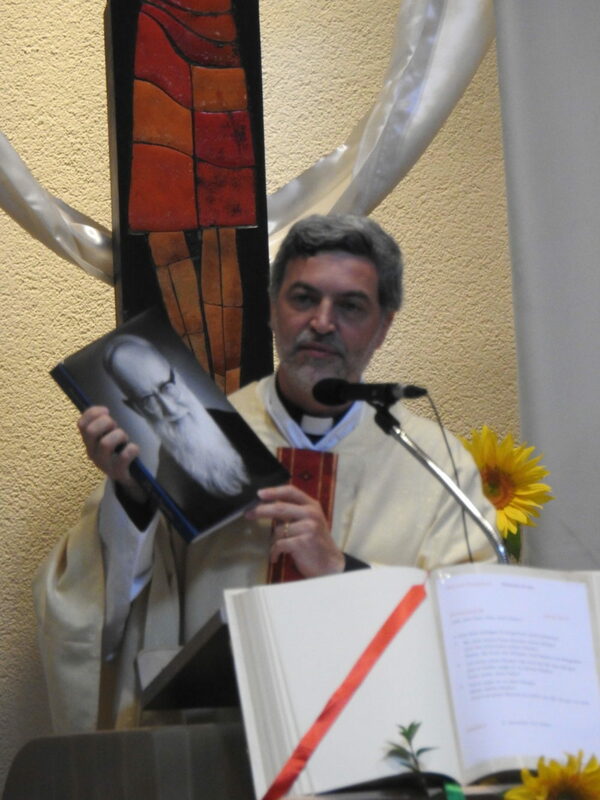 That is why we need a new awakening in this Church, towards those affected and God,” said Cardinal Marx. “We will speak about it at the Plenary Assembly of the Bishops’ Conference in Fulda and ask ourselves what the outcome should be from it,” said Cardinal Marx. That is why this service in Schoenstatt is placed under the mercy of God in a special way. “We need this mercy in order to renew the gift of faith. We also need mercy for the truth of what happens in the midst of our community – through lack of attention, lack of sensitivity, lack of love. Therefore, the Church asks for God’s mercy for the Church and for all people,” says Cardinal Marx. There was a moment in the day, which could have passed unnoticed. Among all the simultaneous activities and talks, testimonies, movies, presentations about his life, there was a gallery of great Schoenstatters. 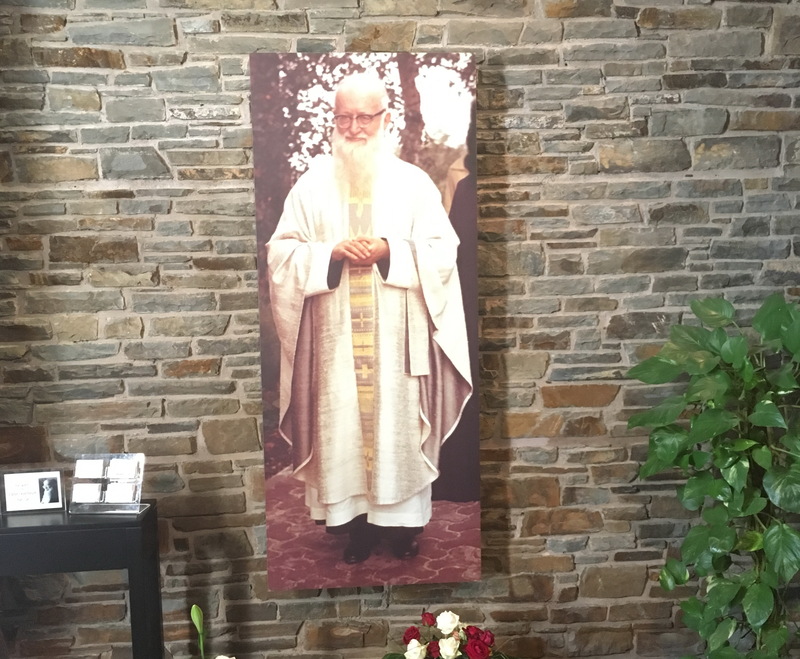 It was not just any gallery, nor was it a classic one; but rather, it was one of those great people who gave their life for Schoenstatt and for father’s life. 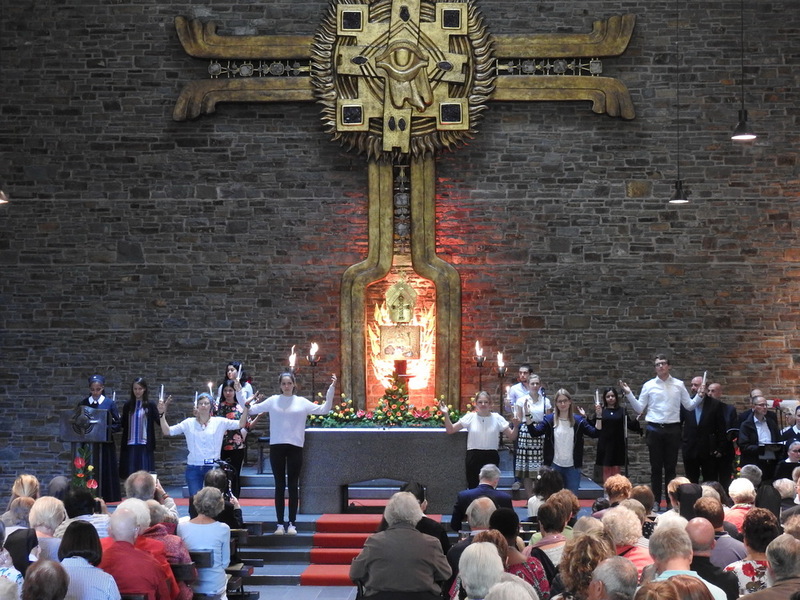 The best known such as Joseph Engling, Joāo Pozzobon, Alex Menningen, Franz Reinisch, Mario Hiriart or the Kühr’s were joined by all those who were and as of now are Father’s spiritual children, who perceived and assimilated “Schoenstatt” to the depth of the fibers of their being and who today are examples of life for all of us from their different vocations. Father, now where do we go with you? 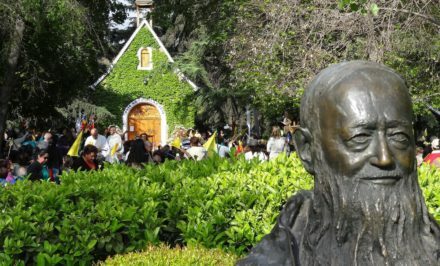 From this point of view, this 15th of September was not only the remembrance of the departure of the founder of Schoenstatt; but rather, it was to celebrate his life. At the closing of the celebration on Saturday, Fr. 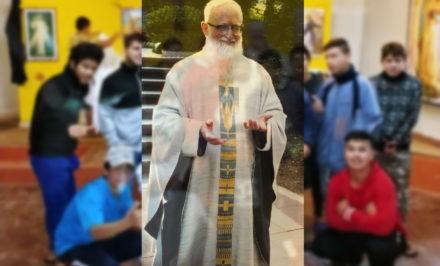 Juan Pablo Catoggio recalled Joseph Kentenich’s love for Mary, the Schoenstatt family in all its diversity and his love for the Church, where he risked everything and continued working for her until the end. This together is his mission and the fire he left us. As Schoenstatters who experience the beginning of the second century of Schoenstatt, how do we respond? 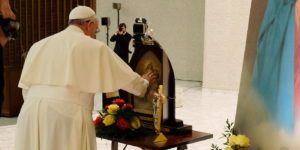 The celebration of the 50th anniversary of his death was also indirectly a renewal of the commitment with and for Father Kentenich, a commitment to continue building Schoenstatt and to be with him in his Dilexit Ecclesiam Church. We all made our covenant with him in his tomb during the weekend since all of International Schoenstatt was present there. Father, where do we go with you now?